Slight alterations in vision should never be neglected. It’s very important to get yourself checked by trained optometrists and specialist and get your eyes evaluated. Uncorrected refractive errors can lead to impaired development of vision in children leading to amblyopia or lazy vision and squinting of eyes. Refers to a state of the eye, herein the rays of light coming from a distant target, get ocused at a point in front of the retina. In this situation, minus powered glasses or contact lenses are necessary to focus this image onto the retina. Refers to a state of the eye, wherein the rays of light coming from a distant target, get focused at a point behind the retina. In this situation, plus powered glasses or contact lenses are necessary to focus this image onto the retina. Refers to a state of the eye, wherein the rays of light coming from a distant target, cannot focus at a single point on the retina. 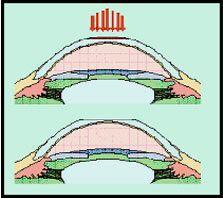 In this situation special lenses of different curvature are required to focus the light onto the retina. Spectacles Contain lenses that alter the incoming rays of light to enable them to focus on the retina. Contact Lenses perform the same function as spectacles but are placed in the cornea. They provide improved cosmesis and better quality of vision, especially for higher refractive errors. In the Apollo Eye clinic trained optometrists perform refraction aided with auto refraction, keretometry and corneal topography. Contact lens fitting is done for both soft and semi soft lens. LASIK is an exciting surgical procedure that is capable of correcting a wide range of near sightedness (myopia), farsightedness (hyperopia) and astigmatism. LASIK is the acronym for laser assisted in-situ keratomileusis. 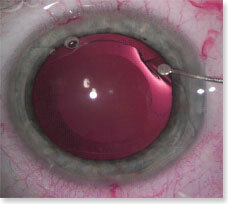 The name refers to the use of a laser to reshape the cornea without invading the neighboring cell layers. 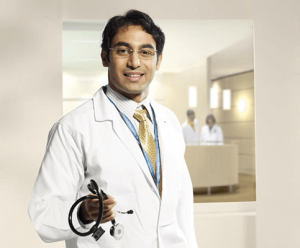 Lasik is currently the most commonly performed refractive procedure in the United States and in India. Lasik has been performed internationally for approximately 10 years. It was first performed in clinical trails in the US in 1991. It was officially approved in 1996 in the U.S. It is important to note that the major components of the procedure have a long history. Ophthalmologists have been reshaping the cornea for over 50 years creating a protective layer of tissue for over 35 years, and using the excimer laser since the 1980’s. 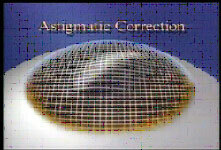 reshape it for correction of refractive errors. This is usually performed for people with smaller refractive errors. The surface layer usually takes 3-4 days to heal and the vision gradually improves thereafter. glare or halos during the night while looking at bright lights. Wavelight laser allows multiple options for customized treatments, such as wave front guided, topography guided, Q factor guided treatments. Such treatment modalities are far superior when compared to those with other lasers such as zyoptix, custom vue, or custom cornea. Both PRK and LASIK procedures are absolutely painless and are performed as outpatient procedure using topical anesthetic eye drops. The entire procedure lasts for only 10 –15 minutes and you will be awake during the entire procedure. During the treatment you are required to look at a fixation light while the laser is performed and you will also hear the noise of the laser machine during the treatment. The actual laser treatment only lasts for 15 to 45 seconds. Following the treatment you can return home immediately. However you should make arrangements for a friend or relative to take you home after the procedure. Must discontinue contact lens wear 2 weeks prior to refractive surgery.Eligibility also depends on the amount of refractive errors , the curvature and thickness of the cornea and a number of other factors that an ophthalmologist must evaluate. Proper patient selection is vital for successful refractive surgery and a satisfied patient.Will my vision improve immediately? There is a considerable improvement in unaided vision following the treatment. Following PRK the vision improves 3-4 days later once the surface healing in complete. Following LASIK this improvement is noted right from the next day. However a slight fluctuation of vision may occur over the next few months as the healing process continues.What are the possible side effects? 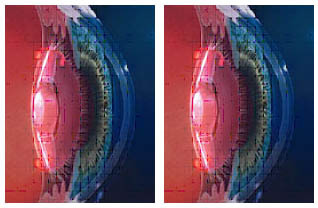 Using a diamond knife, incisions can be placed on the cornea to correct astigmatic refractive errors (cylindrical power). Very high refractive errors can be corrected by replacing the natural crystalline lens with new generation intraoculer lens (Wavefront optimized anterior surface multifocal lens and posteriors square edge IOL’s) i.e. 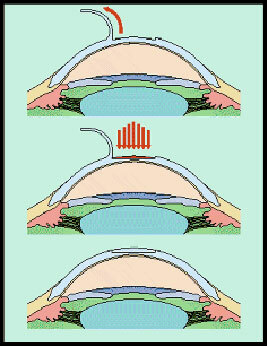 refractive cataract surgery). that is much safer for the eye compared to conventional phaco machines. IOL selection is customized for each individual to ensure best visual outcome. 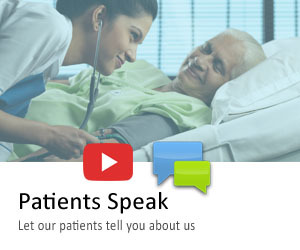 The surgery is painless and patients can return home the same day.